Knitters among us, we salute you. 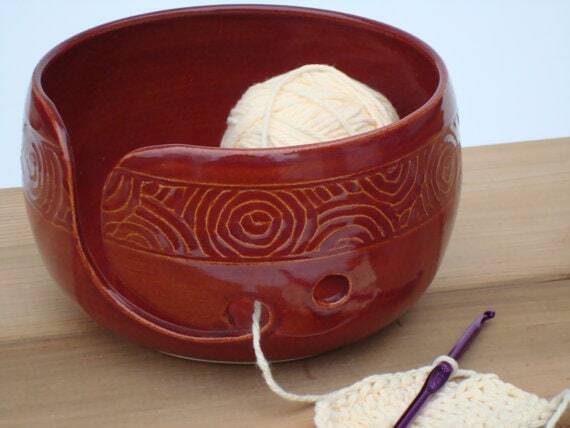 And we do so by highlighting some of our favorite yarn bowls. 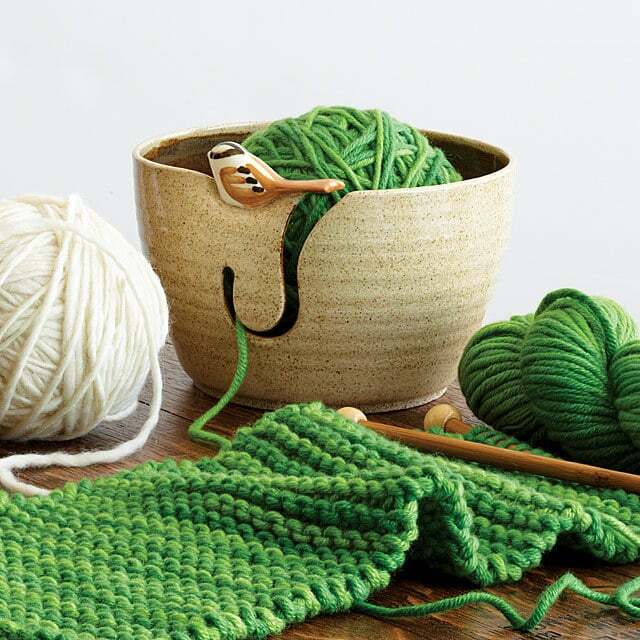 Gone are the days of tacky yarn bowls that you’d rather have tucked away in a craft corner. 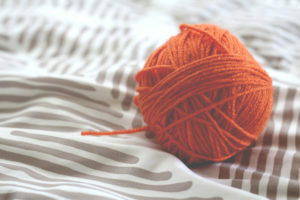 Whether you use a yarn ball winder or buy ’em nice and ready to go, yarn balls can be trouble, and we have the answer. 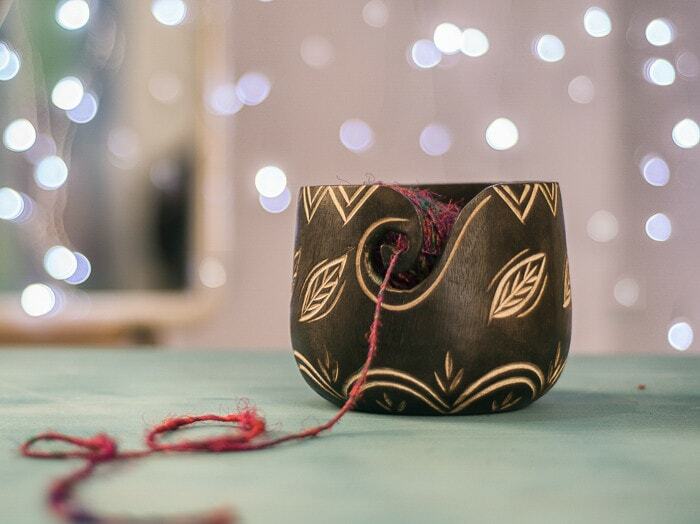 Today’s makers, from Etsy to Amazon, are creating high-quality, gorgeous yarn bowls that they – and you – can be proud of. Here’s a look at 12 of our favorite yarn bowls at the moment, from simple wooden pieces to custom stoneware bowls made tediously by hand. Enjoy! 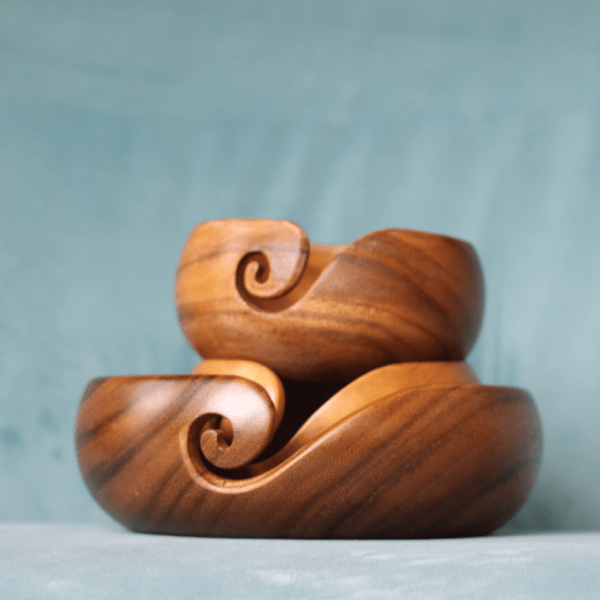 This beautiful rosewood bowl from Hagestad comes with a lifetime guarantee, though there are no guarantees that it’ll make your knitting better. Jokes. The best part about the folk art bowl from Darn Good Yarn is that its success helps provides jobs for more than 50 people who work at the company, so you can feel just as good as your new yarn bowl looks. 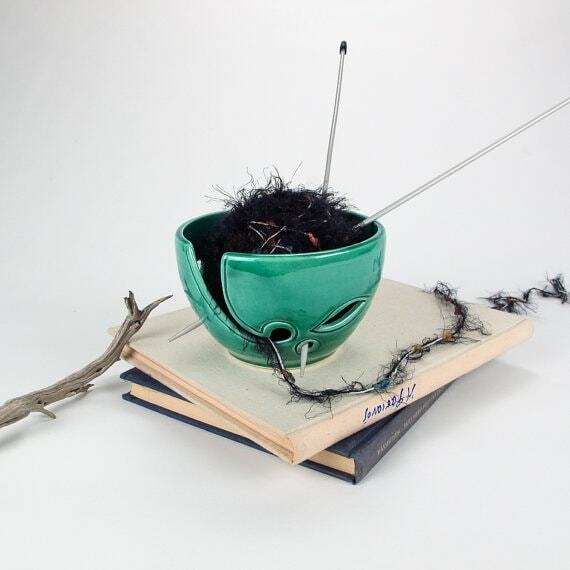 This made-to-order ceramic bowl is about as unique as it gets: each one will have slightly different characteristics that make it a unique part of your crafting arsenal. Each one can also be personalized for an added unique touch. If your cat is constantly getting into your yarn balls, we know the feeling. One time, our cat Swaggy got so deep into a yarn knot that we had to get rid of the cat and the yarn. Nah just playin’. 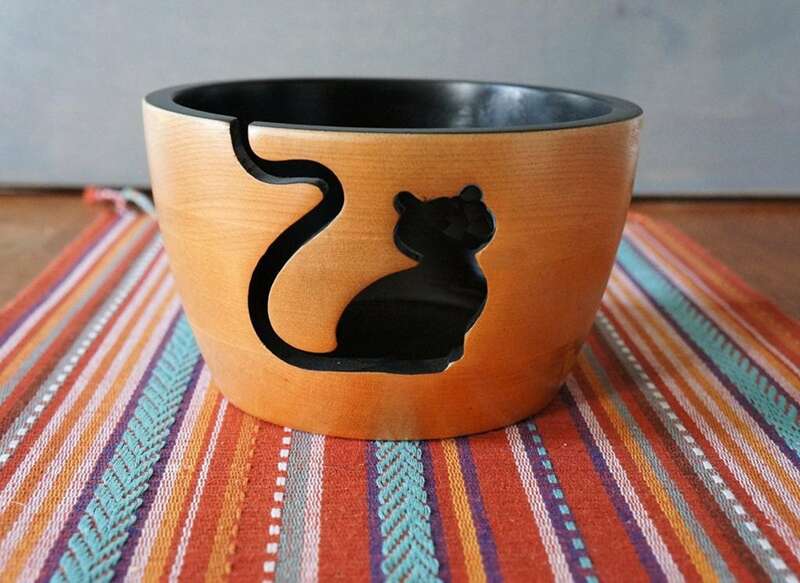 This cute cat-inspired yarn bowl is the perfect way to pay homage to your feline friends while still preventing them from getting into yarn-enabled mischief. 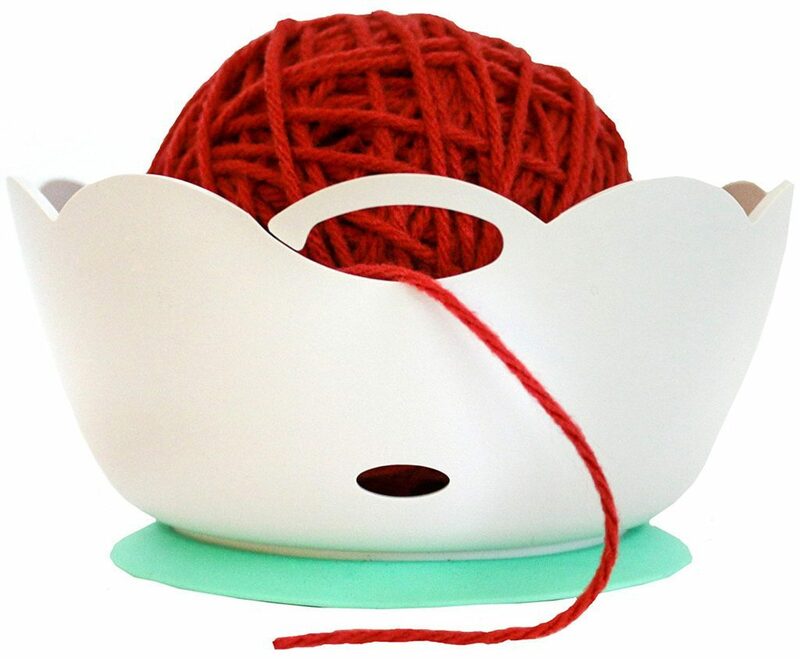 We go now from cats to birds with the Birdie Yarn Bowl from Uncommon Goods. Designed by Aaron A. Harrison, this yarn bowl has a beautiful little sparrow on the edge of the bowl, reminding you always of how beautiful and fragile nature and life is. And if you don’t want to get that existential, just consider it a really nice yarn container. 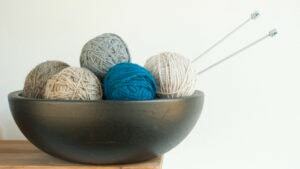 We’re huge fans of wooden bowls, and we love how these offer low profiles that make it easy to keep your yarn moving at the pace you want, where a larger, deeper bowl might move things slower. These bowls from Furls are made from Acacia wood and have gorgeous woodgrain patterns that are as easy on the eyes as they are on the skin. With a lifetime warranty and 100 percent no-questions-asked refund, there’s nothing to lose with these beauties. If there was an award for most beautiful bowl, we would be tempted to award it to this gorgeous piece from Blue Room Pottery. 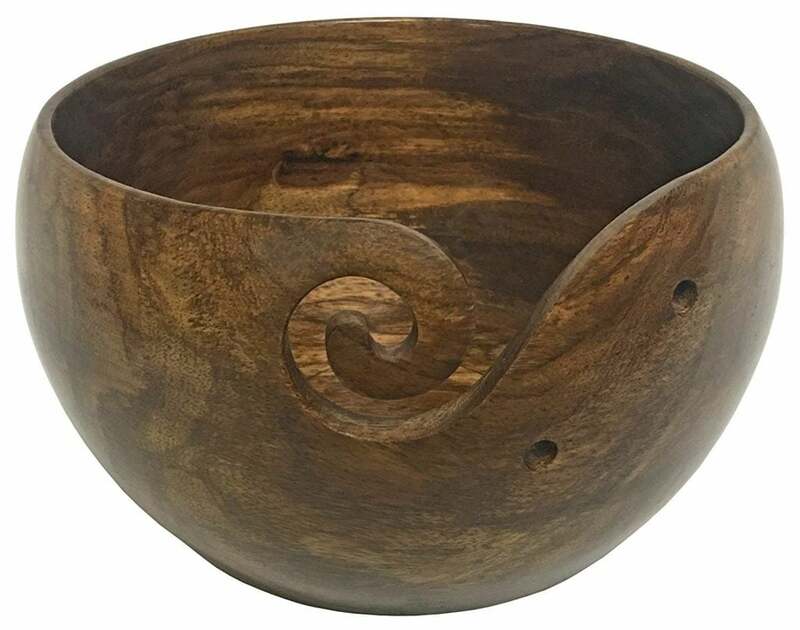 This bowl is cut, carved and made entirely by the hand of Marietta LeMieux, so you know each one is up to par. Its small-sized for travel and easy use, but big enough to contain yarns that would be otherwise an unruly mess. Hands down, this is one of the prettiest and most functional bowls you’ll find on the market. 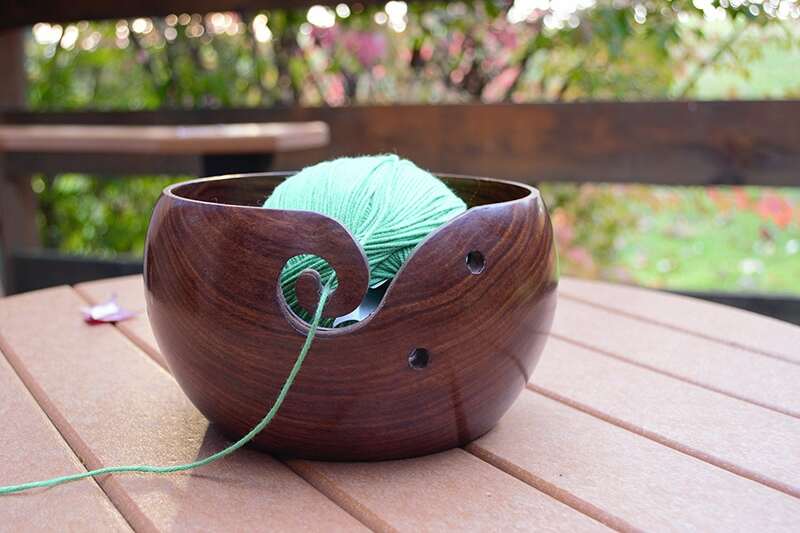 The Indian Rosewood bowl from Yarn Hut ensures a unique experience for every user. Each bowl is unique because of handmade intricacies that vary with each piece. With a lifetime guarantee and a durable build that’s made to endure, you’ll have no problem keeping this one around for the long haul. These bowls are made from two young Amish men, Adam and Daniel from Illinois, and their heritage craft comes through in leaps and bounds in their handmade yarn bowls. These bowls, unlike most of the wooden ones we’ve come across, are made from a variety of woods, including maple, oak and birch. Each bowl is signed and guaranteed to provide a lifetime of knitting pleasure. Oregon-based TohkiyaPottery makes this beautiful bowl that includes their signature design on the front. They began making the bowls after needing some themselves, so you know that it’s designed for real knitters and practical, everyday use. 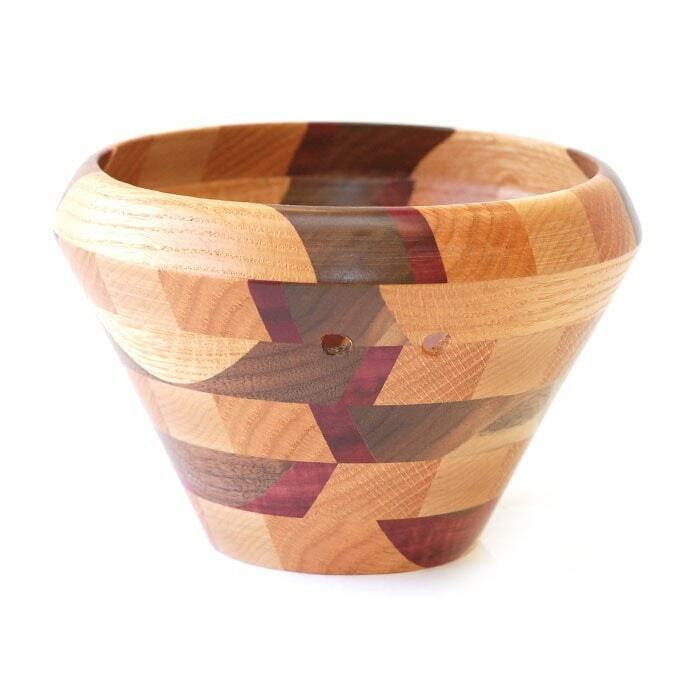 If you’ve ever wanted a yarn bowl that also looks like a piece of wood, we count ourselves among you. 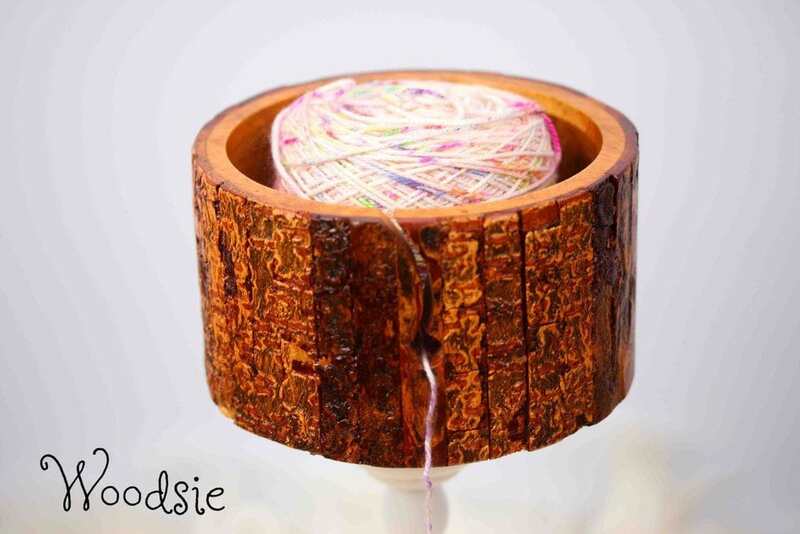 That’s why we’re kind of in love with the Woodsie bowl from Paradise Fibers. If you’re not into this model, they have a handful of other designs that are just as unique and offer the same handcrafted quality and detail. 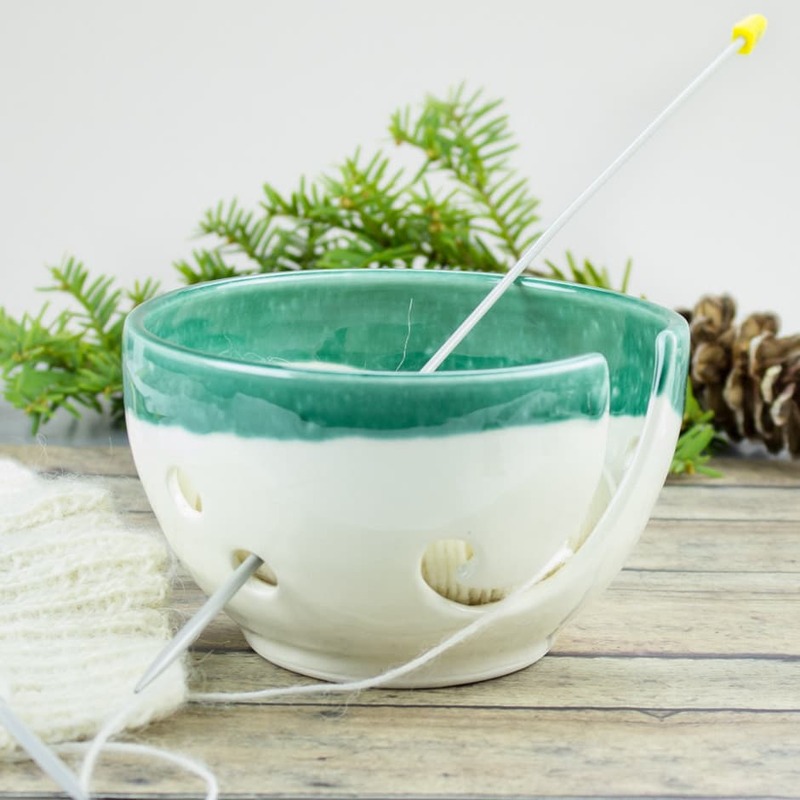 This might not be the prettiest yarn bowl on the block, but you’d be hard-pressed to find a more practical one. It’s skid-preventing bottom keeps your yarn moving while the container stays still. Because it’s made from lightweight, unbreakable material, you can take it on the go without worrying about it breaking. In our book, that’s a win-win.